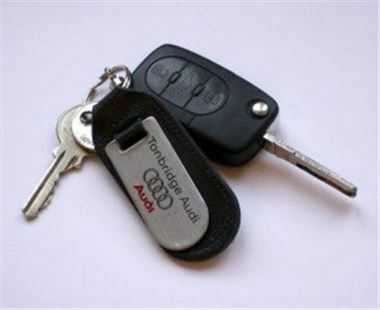 Keys to cars are set to be the items criminals most want to get their hands on during 2009, it has been suggested. A new study by car insurance provider esure indicates 90 per cent of high-value car thefts which took place in 2008 involved the use of the vehicle's original set of keys to steal the motor. Some 90 per cent of these crimes also saw the keys being taken directly from the driver, or from their property. Gordon Hannah is head of claims at esure car insurance and describes seizing keys directly from owners - or their properties - as "sinister". He adds: "It's essential never to flaunt car keys and to keep them secured and out of reach of criminal hands at home or when out and about." Stolen vehicle tracking firm Cobra UK recently suggested burglars are increasingly targeting homes in order to steal the car keys they often contain.